How to Recover Lost Call History from HTC Phones? Home > Resources > HTC > How to Recover Lost Call History from HTC Phones? Call history is important for all phone users especially when you forget to save the call numbers after he/she calls. It would be troublesome when we need to check the call logs but they have been gone forever due to deleting or other data loss causes. 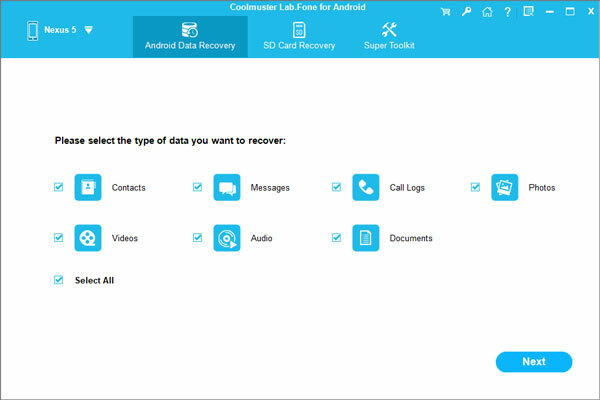 You may think it is hard to recover deleted call logs on an HTC phone, but now we can easily achieve that with the help of a powerful HTC data recovery tool - Coolmuster Android Data Recovery. Coolmuster Android Data Recovery is the tool that we want to strongly recommend to you. 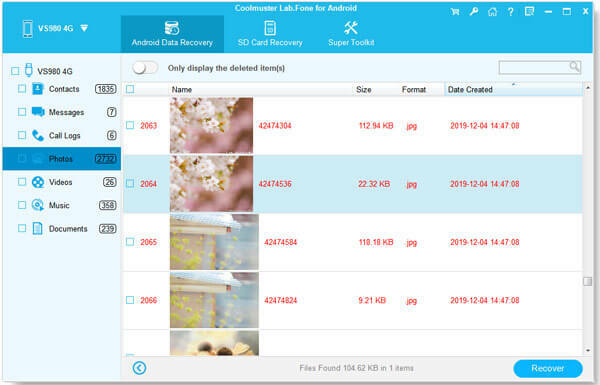 It is a professional yet easy-to-use Android data recovery tool, which supports most of Android devices and even rooted Android. With its help, you are able to restore lost call history from HTC One M8/M9/M10/Desire/Wildfire. Besides call logs, Android Data Recovery also recover various file types, including contacts, text messages, photos, videos, music and more. Android Data Recovery works well for most of Android devices, including Samsung, HTC, Motorola, LG, Sony, Google, Huawei, ZTE and so on. Follow the steps below to retrieve deleted call logs on HTC phones. Run the downloaded and installed Android Data Recovery on your computer. Then connect your HTC phone to the computer via an USB cord. The program detects the connected HTC phone and shows it in interface. Choose the file type you need to recover from the HTC phone. For call history recovery, just click "Call Logs" and then click on "Next" to let the program scan the HTC phone for all the lost call logs. After the scanning, you can preview and mark those you want back and hit on the "Recover" button to choose a path on your computer to save the recovered call logs.